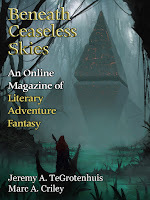 "The Wyvern Rider and Those of the Land," by Jeremy A. TeGrotenhuis [bio] (edited by Scott H. Andrews), appeared in Beneath Ceaseless Skies issue 258, published on August 9, 2018. Pro: The Captain learns of the existence of Machaen Laputa, where Veled must be. 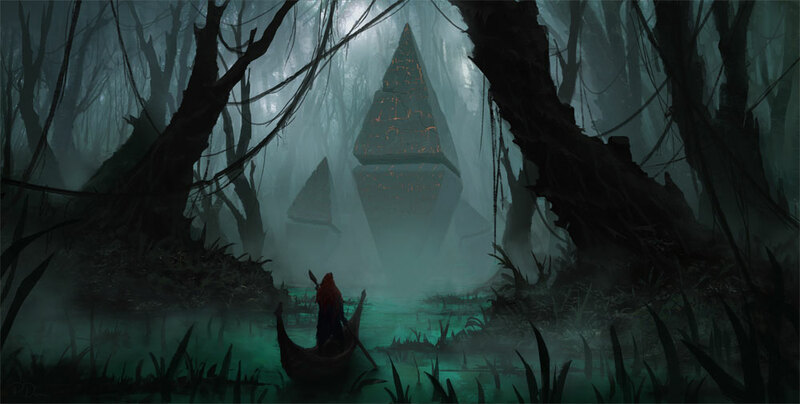 Strengthened by Tava and Caragor, they sail off to find it. The setting is intriguing. And for those who know "Gulliver's Travels," calling a floating city "Laputa" is cute. Con: The intro is very confusing. There are too many characters and too many new concepts to absorb all at once. It’s hard to root for the Captain, because they are so dishonest and self-focused. They lie to Tava about her being bait. They take Jeroam’s springclipper without asking him. Some of the narration is very awkward.